Reconstructive surgery is a surgical procedure to rebuild damaged or lost structure, restore functional ability, or restore esthetic appearance. One of the more common reconstructive surgical processes is performed on a significant weight bearing joint; such as a hip, knee, ankle, or the back. However, the broad category of reconstructive surgery could also include facial reconstruction or the reconstruction of an upper or lower extremity. The procedure of reconstructive surgery is highly invasive and can be associated with significant risks; including infections, nerve damage, joint or spinal instability, or further degeneration. These procedures are not always 100% effective in relieving the symptoms they are intended to treat. When a reconstructive procedure fails to fix all or some of the symptoms it is designed to address, it may be considered an unsuccessful reconstructive surgery. Considering the broad nature of this category of surgical procedures, a person’s limitations following this procedure may be very mild, or they may be extreme. Depending on the location of the procedure and the residual effects following the procedure, a Claimant filing for Social Security Disability benefits may be found disabled in multiple ways. For example, someone who underwent an unsuccessful reconstructive procedure on their back may meet the requirements for disability under Social Security’s Blue Book Listings of Impairments. With the proper medical documentation, someone who underwent reconstructive surgery or surgical arthrodesis on a significant weight-bearing joint may qualify for disability under listing 1.03. To meet this listing, a Claimant must establish through medical documentation that they experience an inability to ambulate following their surgery efficiently, and effective ambulation did not occur or is not expected to occur, within 12 months of onset. Even if a Claimant does not meet the threshold to be found disabled based on a listing, they may still be disabled due to the physical and mental limitations their condition causes. For instance, a Claimant who had unsuccessful surgery to alleviate radicular pain into their lower extremities may continue to experience significant constraints on their ability to perform essential work activities, such as standing, walking, sitting, lifting, and carrying. If these limitations are severe enough, it may be determined that the Claimant is unable to meet the requirements for any competitive employment on a full-time, sustained basis. 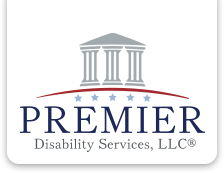 Premier Disability Services, LLC has extensive experience assisting claimants who have undergone an unsuccessful reconstructive surgery. If you have suffered a reconstructive surgery and you are continuing to experience symptoms that prevent you from working, please contact our office for a free evaluation of your claim.